"Good pump but too short"
COMMENTS: This pump worked very well at first for the vita burst face wash kit it came with...but halfway through the gallon jug, it would not pump anymore. It only reached halfway into the jug. It was frustrating. COMMENTS: These are so awesome to use for filling my 2 oz party favor shower gel bottles. Makes life so much easier!! COMMENTS: wonderful for pumping liquid soap and liquid shampoo. easier to pour after diluting and I can use just a little part of the unscented part and nestle pour it on the bottles. great addition to my personal supplies. I use it on my liquid base oils while making other products. COMMENTS: Love this! Makes filling bottles easy and a lot neater! COMMENTS: wow - this is great - hubby (slave lotion maker) swears by it - has made his life so much easier - thanks! COMMENTS: Worked well for filling individual bottles from a gallon jug. COMMENTS: These pumps work great for dispensing oils such as Sweet Almond, Olive, Castor, Rice Bran, etc. Really helps when measuring out oils for soaps, lotions, body butters, lip balms, etc without accidentally pouring too much. COMMENTS: Love this pump, better than some gallon pumps I've purchased elsewhere, has nice output. COMMENTS: Not the sturdiest but it's affordable and gets the job done! COMMENTS: I attached this to my gallon jug of lotion base and it works well. I like that I can put my product into jars easier. However, I found it easier to store my bottle without the pump on it. Now I just pour from my jug unless I have to put this into smaller jars unscented. COMMENTS: This pump is great for dispensing oils when making soap without dripping or wasting any product. I will be buying more. COMMENTS: Works great.... easier and faster making my products. COMMENTS: I've been using this pump for a couple of months now and it still works great. COMMENTS: Makes pumping out the right amount so much easier than trying to pour it. COMMENTS: Pumps are industrial quality, fit gallon jugs perfectly. Each pump seems to expel around 1 oz. of liquid, which is especially helpful when large quantities are required. COMMENTS: This is a great pump used for gallon jugs. Has definitely helped me when measuring out product. COMMENTS: Can't believe it took me so long to try these. Measuring out my oils is so much easier now. COMMENTS: I ordered this with the Gallon Jugs and honestly this is a great quality pump. I have no doubt it will last for years to come, you definitely get your moneys worth. COMMENTS: Great pump for filling lotion and shower gel bottles! Best part is I can reuse these over and over! "Perfect for Flavor Concentrate Dispensing"
COMMENTS: Product is excellent! Dispenses almost EXACTLY 1 once of liquid. Works wonderfully. It will make us 10 times more efficient. I am ordering more today! "Pump A Must with Liquid Gallon Jugs"
COMMENTS: I use this pump for shower gels, massage lotions. If it's a gallon jug, it really makes it easy to dispense into bottles. Less mess and fuss. COMMENTS: This is so handy ..... I used to make such messes, and over pours (which I WILL NOT pour back into the jug ... that's worse than double-dipping !!!) .... I will never go without one again, and I have recommended this to other people as well. • Saves a ton on waste !!! COMMENTS: I am using these on gallon pet shampoos. Work great. Looks good thank you. COMMENTS: For lotion making if you buy the gallon jug. COMMENTS: Perfect to use in a gallon jug of lotion. Makes it easier to fill small bottles, but takes a long time to fill large bottles - better to pour when lotion is freshly made if you're filling over 8 oz. This makes storage in a jug an option. COMMENTS: This has been a great help in filling the heat-seal sample pouches, as well as, bottling lotions and shower gels. The tube and nozzle are large enough to allow even my thicker lotions through without clogging and it has come in very handy for those problematic filling issues. I'm going to buy another one or two so I have spares on-hand should I need them. "38/400 Gallon Jug Pump "
COMMENTS: Easy to use for large amounts of soap products with a built in measuring device! COMMENTS: Dispenses liquids very well, but my semi solid oil is a little tricky. Sometimes the dip stick breaks off into the oil block and I have to fish it out (not pleasant in a gallon of oil) but that's probably my fault for the oil solidifying. I measure each pump to be around 1 oz of oil. COMMENTS: I have bought 2 of these now and work with different gallon size jugs that I have, Work well to pump lotion into smaller bottles and easy to clean out. COMMENTS: I used this pump to dispense my lotion into my lotion bottles. This was very easy to use and made filling my bottles go quickly; therefore, cutting time costs. If you haven't used this pump, you are missing out. No spills going down the outside of my bottles wasting product trying to fill bottles by hand pouring. Highly recommend. COMMENTS: We used these for dispensing liquid soap, shampoos, etc. from the gallon jugs we purchased. Made filling smaller containers much faster. COMMENTS: I ordered several of these pumps for my oils and gels, and it has made my life so much easier. There is no more spilled or wasted product. I will continue to purchase these pumps for all of my large liquid supplies. COMMENTS: This pump is very well made and is very easy to use. I will definitely be using this for my future batches of making lotion. It didn't break or give me any problems. It worked as it should. What else is there to say about a well made product... Buy it! COMMENTS: This pump makes the larger tubs of lotions easier to use/dispense. I use it with the gallon of lotion base. COMMENTS: Great for me to put into the bottles that are shipped with ease of transfer of the products. Keeps my work area clean! COMMENTS: I used these with the gallon jugs for easy dispensing of lotion. Works perfect! "Makes Using Gallon Jugs So Much Easier"
COMMENTS: Before I purchased these pumps, I was pouring by hand into a measuring cup and all that lifting was really putting strain on my wrists and arms. Now with the pumps, I can pump directly into the bottle and makes filling orders a lot easier and faster. I definitely recommend this product for those who use gallon jugs of product. COMMENTS: It works just as it should. No problems here. COMMENTS: These pumps are the best that I have ever tried! These are taller than the pumps I usually use but, they work so well that I am replacing all of my other gallon pumps. COMMENTS: I purchased this to use with a gallon jug for a lotion order for one of my customers. I'm not sure what happened, but as soon as I picked up the handle, lotion started leaking out of both the top and bottom of the spout. COMMENTS: Great pumps, not cheap anywhere so comparable to other companies prices, plus, free shipping, can't beat it. COMMENTS: If you produce large batches of lotions, shampoos or conditioners then you need to have these pumps. They make it so easy to dispense product from when packaging and waste is reduced. Love them!! COMMENTS: This works great for dispensing product out of the gallon jugs. Just be careful not to over tighten like I did and crack the ring. Otherwise a great product. COMMENTS: I use these every day in my gallon jugs...quality made unlike others I have bought in the past from other sites. I will continue to buy more! COMMENTS: I have outgrown the "funnel" method of filling my bottles. I use the WSP gallon jug with this pump and it works WONDERFULLY !! I wish I had thought of this sooner !!! COMMENTS: This pump really made transferring product so much easier and faster. 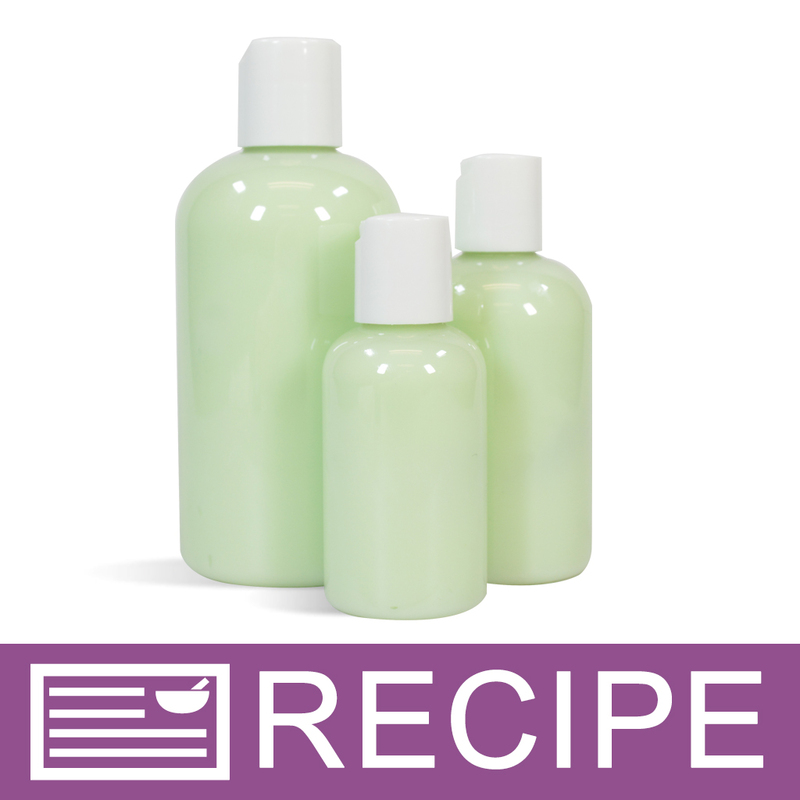 It works great in getting product from the gallon size container into bottles or smaller containers. It has a smooth operating movement also. If you are dealing with a larger volume, this will save you time and effort. COMMENTS: This pump makes it so much easier to get the lotion into a smaller bottle without making a huge mess! "SO glad i got one of these"
COMMENTS: this is definitely a must for any gallon or half gallon jug. its a tad expensive but SO worth it. COMMENTS: Something so small, makes life easy! Thank you!! "Makes use of gallon bottles much easier"
COMMENTS: This is the best pump that I've purchased. Some others that I purchased prior to WSP lock up and this one moves smoothly. It's also packed in plastic, not open to the elements like I have found elsewhere. I appreciate WSP mindful packing. COMMENTS: These are must-haves if you're making in quantity. These are strong and hold up well. COMMENTS: This is the perfect size and very sturdy. Makes bottle filling much quicker! COMMENTS: Fit great the plastic tube was a little long I figured you just have to bend it in the bottle at the bottom but pumps very well. COMMENTS: I actually trimmed the tube down a little and it works perfectly in the half gallon jug. The pump is great for dispensing liquids and not having any spills if you have trouble lifting bulk containers. If the base you are using is really thick it can take a little bit for the spring to raise back up, but you can still do small pumps. COMMENTS: Very helpful with making my body wash. Highly recommend. COMMENTS: I Love This Product. It makes filling bottles so much easier. And I have 4 I did not thinkk it is that expensive. Think of all the time you save. COMMENTS: I used this with a 2 gallon tub, not a bottle. I just leaned it against the edge and it was great. No spills, and it was perfect for neatly filling bottles. COMMENTS: THIS IS VERY HANDY, WISH I HAD HAD IT A LONG TIME AGO, SAVES A LOT OF TIME, PLUS GOOD EXERCISE FOR THE ARM:) SAVES ALOT OF TIME FILLING MANY BOTTLES! COMMENTS: This pump makes it soooo easy to use the gallon bottles and clean up is simple. I have several! "Will this pump fit the 10lb fragrance oil drum? " "How long is the dip tube?" Staff Answer Measuring from under the cap to the bottom of the tube measures 11 inches. "Can I use this with Honey Bear Plastic Bottle 38/400?" Staff Answer You cannot use the gallon jug pump for this bottle. They both have the same opening size but the dip tube fits a gallon jug container which the honey bear plastic bottle is not. "Do you sell empty jugs that fit this pump?" Staff Answer Yes we do. This 38/400 Gallon Jug Pump fits our 64oz - 1/2 Gallon Natural Jug and our 128oz - 1 Gallon Natural Jug. "Do the pumps lock in a closed position?" Staff Answer No this pump does not lock. "At the risk of sounding like an idiot .... are these pumps to be removed and cleaned after each use .... for example, say I do not get a lotion order for 2 weeks .... can I just leave this pump in my gallon jug for future use (maybe use a little plastic wrap around the end for sanitary reasons), or am I supposed to take this out of the jug and clean the pump? Thank you :-)"
Staff Answer It would be best to leave the pump in your lotion. Anytime you introduce water there is a chance for bacteria and mold growth. Since these tubes are narrow, they may not dry properly allowing for mold growth. It would be a good idea to wrap the end with a plastic type wrap as you suggested. "What volume of liquid does this dispense with each pump? (Eg, 1 tsp, 1oz etc). Thanks!" Staff Answer This pump dispenses 1oz per pump. "Will this fit both the gallon and half gallon jugs or would it be too long for half gallon? They both take a 38/400 closure." Staff Answer This pump will fit both bottles but will need to be trimmed for the half gallon size. "Can this pump be cleaned/sanitized so you can re-use it between lotion batches?" I usually spray a little Witch Hazel or even soak it in a small amount. It does not ruin the plastic pump like alcohol would do so. I was thinking wash/pump with soapy water then soak in a 5% bleach/water solution? When cleaning pumps we clean them with hot soapy water, then pump distilled white vinegar through them. Then we rinse them off & pump through hot water.